Despite a few technical hitches I really enjoyed playing with records at the Glynn Vivian for the End of Empire preview. My audio recorder failed unfortunately so I decided to continue working with the selection of records in the studio and post some recordings of them as I go. 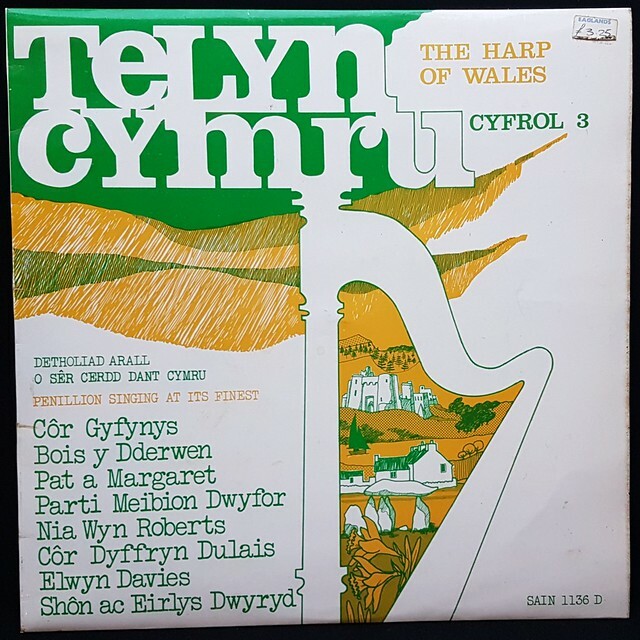 This first mix from the studio uses 3 Swansea based Welsh Teledisc records and ‘Freedom Fanfare’ by the Band of the Nigeria Police, recorded to celebrate Nigerian independence. 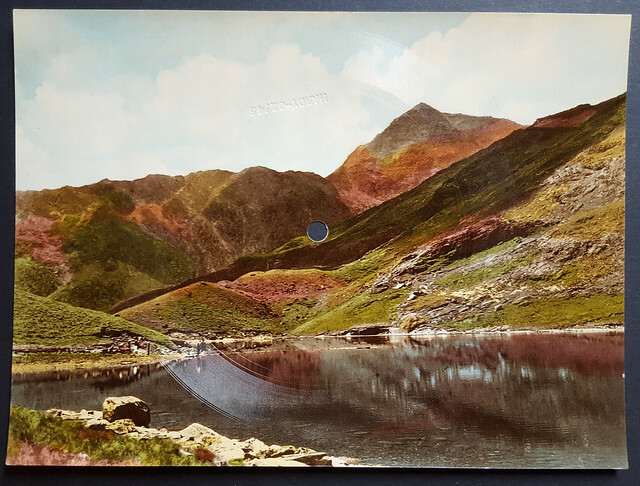 Time wasn’t on my side and I didn’t get to play a number of things that I’d hoped, one was this Vistasound postcard record with a view of Snowdon from Llyn Llydaw. On the balcony above where I was situated in the atrium is a series of landscape paintings by Sir Kyffin Williams, including views of Snowdon. 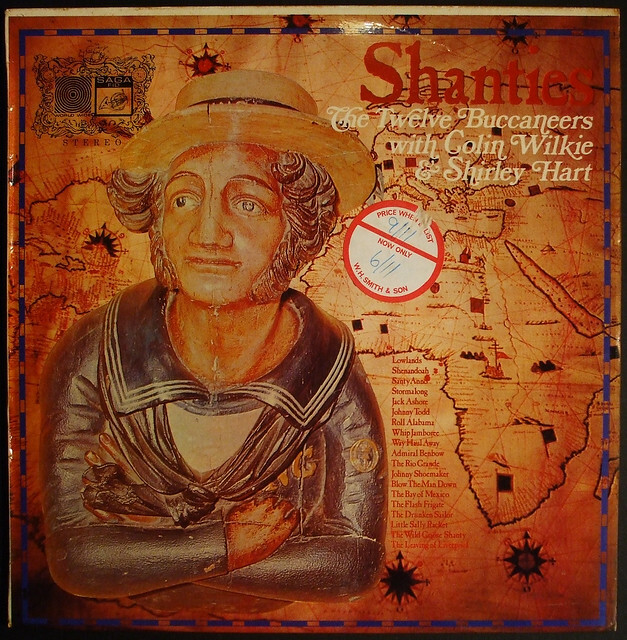 I had planned to play this on a portable record player with them, here it is playing in the studio instead.. I have been invited to create a new performance at the Glynn Vivian Gallery in Swansea to take place 5-8pm on Friday 21st 2018 as part of the preview event for Yinka Shonibare’s “End of Empire” exhibition and start of the week of art activities tying into Marc Rees’ “Now the Hero”. 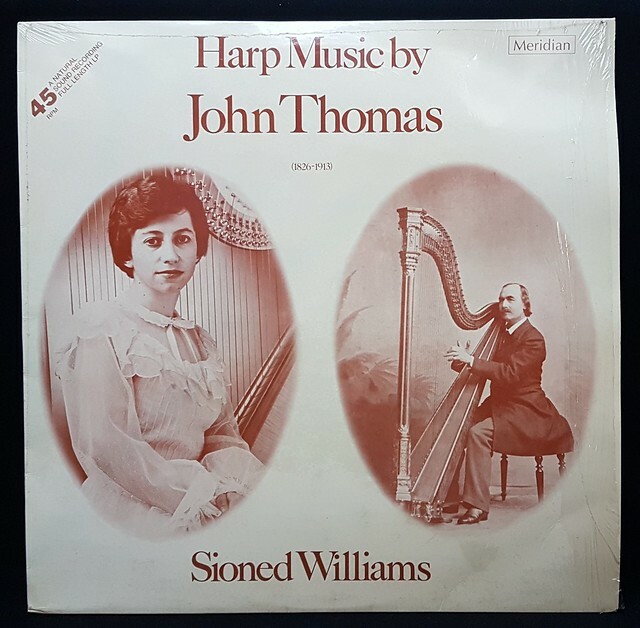 I am searching my archive to find records connecting to the themes of these two works and to the gallery and its location. Looking at the partially installed work by Yinka Shonibare last weekend I was reminded of this Talking Heads album cover .. 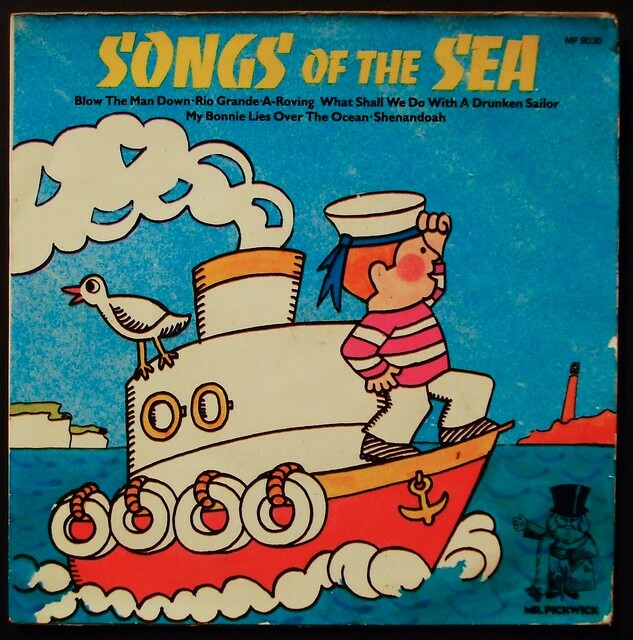 I plan to use records made in Swansea, (I discovered the Welsh Teledisc label was run from 139 Walter Rd, Swansea), by artists from the Swansea area (Harry Secombe and Morriston Orpheus Choir perhaps..), and songs/artists connected to WW1 and empire (Oh What a Lovely War!, Alf Garnet etc). I did some work with records for Swansea and the Glyn Vivian some years ago for a Welsh-Estonian artist exchange thing. It included a mix of records made with artists and recordings from the area and a performance on Swansea beach. I was invited to create a live mix for the opening of Strange Eden, an exhibition of work by James Moore in Oriel Mwldan Gallery, Cardigan. Records were selected in response to the work on display and following a few conversations with James ahead of the event. 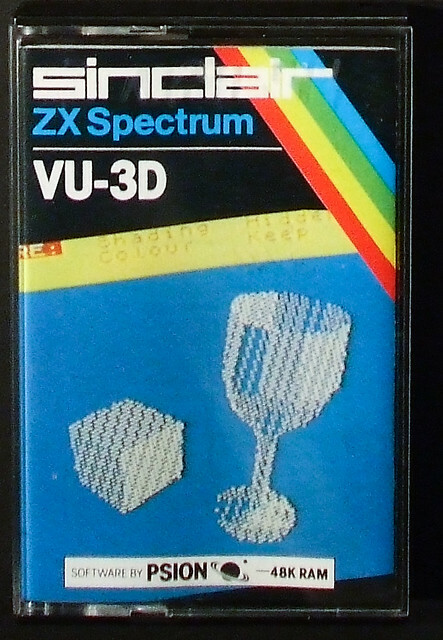 Records used include: Tomita – Pictures at an Exhibition; Emerson, Lake and Palmer – Pictures at an Exhibition; Debussy – La Mer; Jean Michel Jarre Live; BBC Sound Effects No6; RCA Home Movie Sound Effects; Landscape III – You Know how to Hurt me; Top Gun OST; I also used a cassette tape of VU-3D for Sinclair ZX Spectrum. Loops were found randomly from the records using bits of wire to hold the tone arms. Couple of warm up/test mixes for the exhibition opening on Saturday – 3.45 Oriel Mwldan, Cardigan.